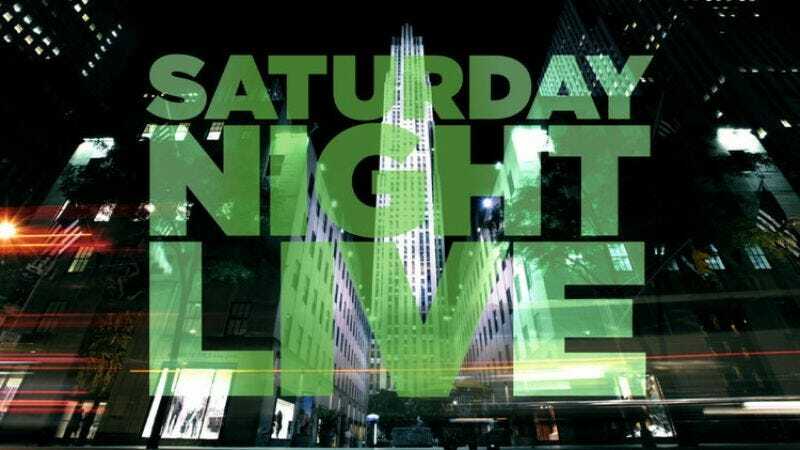 In a ploy to cease all work, sleep, and care for self akin to FXX’s similar attempt at civilization stoppage last year, VH1 Classic is hoping the warm glow of nostalgia will drive viewers to its new plan: airing all 433 episodes of Saturday Night Live in reverse order. For 19 days straight, the channel will run back-to-back episodes, starting with season 39 and working backwards to the very first episode, hosted by George Carlin, that originally aired October 11, 1975. “The SNL Rewind: 2015—1975 Mega-Marathon” begins on Wednesday, January 28 and ends Sunday, February 15, in a nice bit of marketing synergy wherein that Carlin-hosted episode will end just moments before the start of NBC’s 40th anniversary special. Viewers will get to see all of their favorite skits and performances, though none of that will hold a candle to the uncanny experience of watching longest-running cast member Darrell Hammond age backwards 14 years. VH1 Classic has also set up some special themed episode blocs, like a Justin Timberlake stretch on January 31; a “former cast members return to host” bloc on February 3; a “Remembering Chris Farley” collection February 7; and a Steve Martin-in-the-’70s stretch of five episodes on February 14, among others. If watching an endless parade of six- to eight-minute long comedy sketches seems like something that requires periodic breaks, VH1 Classic has you covered. Every Saturday night at 10 PM during the marathon, the channel will air a movie starring an SNL cast member, such as Trading Places, The Blues Brothers, and MacGruber. Be sure to plan appropriately—given Saturday Night Live’s flawless track record of every single sketch being absolute gold, you won’t want to miss a thing.